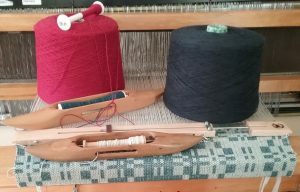 Wind your warp for the workshop today! Reminder: We’ll be at the Fiber Loft today from 10 to 12 to distribute yarn for the workshop, help with winding warps and answer any questions. If you can’t come this morning, email chair@nvwg.org to arrange for transfer of your yarn.